Capital Road Race provides event timing and management services with a comprehensive approach. 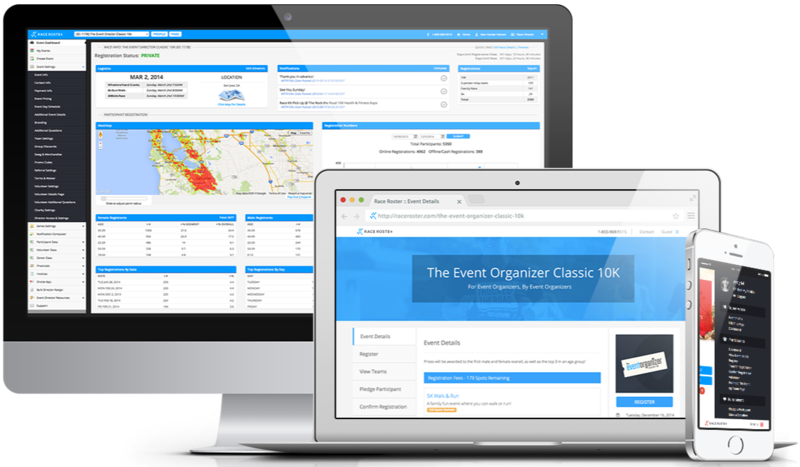 The benefit of working with us is you can consolidate a number of services your event will need with one partner, from timing, finish line set up, registration and data management and race check in and on-site registration. Capital Road Race timing and finish line services ensure an accurately timed race, superior customer service for your athletes, and finish line services that give you a one-stop approach. We primarily use ChronoTrack timing solutions as they are the most cost-effective and accurate technology available, including their disposable tag solutions for a variety of races and ability to offer mat-less splits on the course. We can consolidate registration, on-site registration and race check in with our race scoring using our registration partner, Race Roster. By keeping registration open to the start of the race, events benefit from last minute registrations without the need for manual data entry. We utilize ChronoTrack Live for real-time online and mobile results, Facebook and Twitter athlete updates, video finishes, digital photography and more. These online, mobile and social race offerings deliver athletes the experience they want while increasing the exposure of your event. On a case by case basis we conduct comprehensive event management for your event and use the same blueprint for success that we apply to events up to 30,000 athletes. These services include course planning, permit acquisition, management and security. We make sure you achieve a profitable event with budgeting and marketing planning.